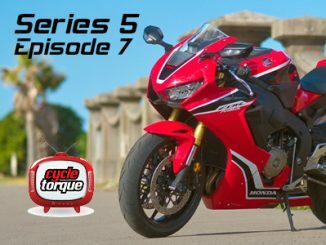 VICTOR Fenech is on a journey to understand Electric Superbike Racing which has resulted in a four-part TV series which offers a glimpse into the possible future of superbike racing. Built by privateers on a fledgling budget in workshops around the country these electric machines are competing at 600cc racing speeds. This amazing accomplishment is backed by the passion and dedication of a small but growing number of electrical engineers whose challenge is to build the ultimate, electric racer. Watch as Victor follows the teams in an effort to understand the technology that is breaking taboos and lap times on circuits around the world. A technology that challenges the status quo and provides the undeniable evidence that electric racing is not only for the future – it’s happening right here, right now. The first episode of Australian Electric Superbikes will be broadcast on Monday, September 30 at 8.30pm on www.tvs.org.au It will be repeated on the following Saturday and Sunday. Also check out www.evmotorcycle.org for more information about the electric motorcycle racing scene. Well hand me a fuse and call me sparky – Harley-Davidson has revealed the first Harley-Davidson electric motorcycle.